Take a trip down memory lane with the quirky T-Mobile G1. It all started with a slide-out keyboard. Long before camera notches, wireless charging, and confectionery-themed code names, Android was a humble operating system that ran on a single phone: the Google-HTC T-Mobile G1, later known as the HTC Dream. And we got our first look at 10 years ago today. 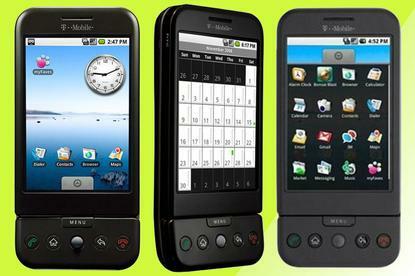 Released on September 23, 2008, the world’s first Android phone had one mission: to challenge the iPhone. And in that goal, it succeeded. It was chunky (17mm), had a low-resolution display (320x480), and didn’t have a virtual keyboard, thus forcing users to bang away on the tiny pop-out keyboard. It also utilized a quirky trackball and physical buttons for navigation. Still, T-Mobile sold more than a million G1s in its first six months of availability. Apparently funnerer and smarterer were words in 2008. As the first Android device, the G1 teems with potential, and exploring the new interface is fun. Google’s own clean, simple Web design has clearly informed much of Android’s interface—and how you interact with the applications. You can tweak and customize everything, either through the deep and varied Settings options or through suitable apps. Of note, the G1 cost only $179 with a two-year T-Mobile contract, a far cry from the thousand-dollar-plus phones of today. Like the iPhone 3G, which had launched in July, it featured support for T-Mobile’s 3G network and was integrated with Amazon MP3, since Google Play Music wouldn’t arrive for a few more years. It supported Google Talk, AOL, Yahoo Messenger, and Windows Live Messenger for texting, and a Chrome-like browser simply called Browser. The Play Store wouldn’t arrive for another year, but the G1 had an Android Market that allowed installation of free apps. 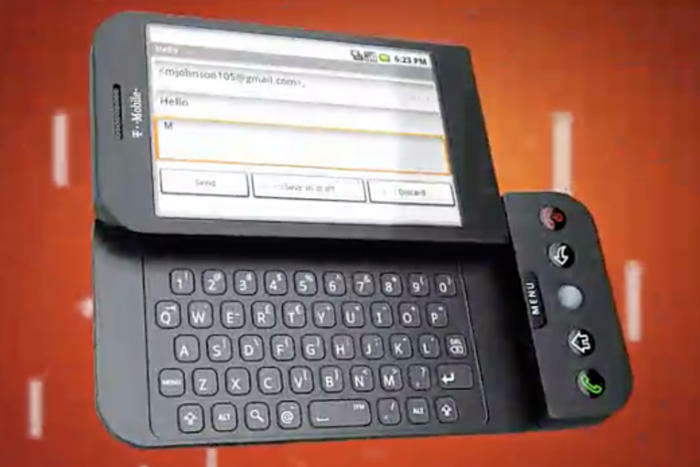 The T-Mobile G1 launch vid shows off the pop-out keyboard. 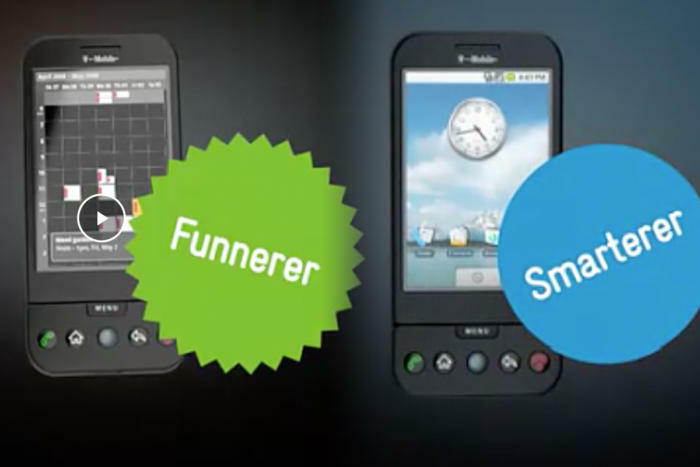 Android would change a lot over the first few revisions, and by the time it got its first code name (Cupcake with version 1.5), it was well on its way to becoming a fully touch-based OS, with a virtual keyboard, copy & paste (which the iPhone didn’t have until OS 3), and support for widgets. Based on the reviews in its Amazon listing, bugs, bulk, and long-term battery life were issues for the G1, as was T-Mobile’s spotty service back then. But what most users had in common was universal praise for the open-source Android operating system. Within a year, Motorola’s Droid brought Android firmly into the mainstream, and before long there were dozens of phones, each with their own spin on Android. Most dumped the physical keyboard in favor of full multi-touch. None that I know of adopted the trackball, but there are plenty of things from that first phone that influenced future Android handsets: the app drawer, the tiny icons in the status bar, the notification shade, and background multitasking. Oh, and one more thing: It didn’t have a headphone jack, opting instead for a proprietary port with an adapter. Sound familiar?